My name is Chin chin. I am a mother of 5 children. I taught all of them how to read. I heard my friends tell me, "apple cider vinegar is good for you." Hence, when I saw this product on the grocery shelf, I purchased a bottle to try it. But honestly, I didn't know what to do with it except use it for cooking. So, I spent some time and looked up the possible health benefits of apple cider vinegar. Below is a list of what I found out about it. But before going to that, let me share a little background information. Apple cider vinegar or ACV is a product made up of primarily acetic acid, important nutrients and minerals including potassium, calcium and magnesium. This sour-tasting product has been found naturally helpful for combating microbes and helping the body be in good condition. 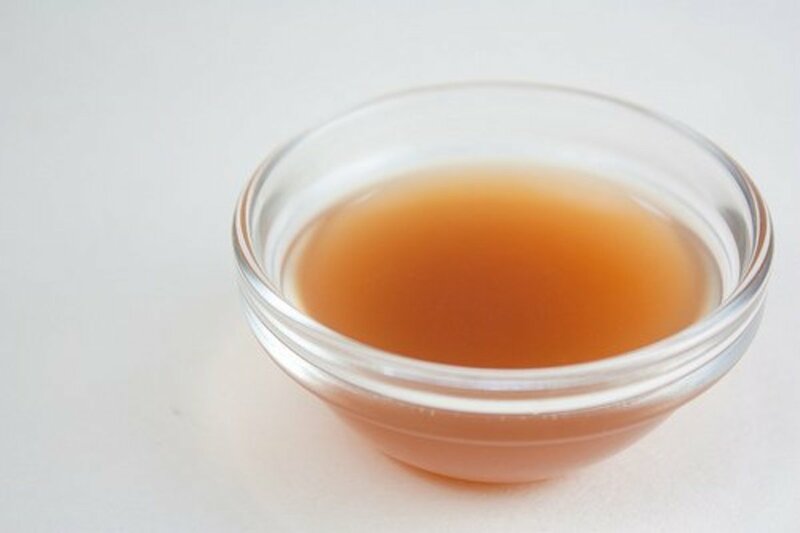 When apple cider vinegar is raw and unfiltered, it has a darker amber color. Organic apple cider vinegar is cheaper than gourmet balsamic vinegars. This type of vinegar is also used as a natural cleaning agent. Apple cider vinegar is made from fresh, organically grown apples, which are crushed and placed in wooden barrels to ferment as a result of the action of yeast. After some time, the natural fermentation process produces alcohol. To turn this alcohol to vinegar, bacteria continue to ferment the alcohol. When a dim, cloudy foam, known as "mother," forms in the vinegar, it is an indication that it is now mature. If the liquid is held to the light, this foam becomes noticeable. It takes about six months to make apple cider vinegar. There are various reported health conditions that could be treated by drinking 1-2 teaspoons of natural ACV diluted in water daily. 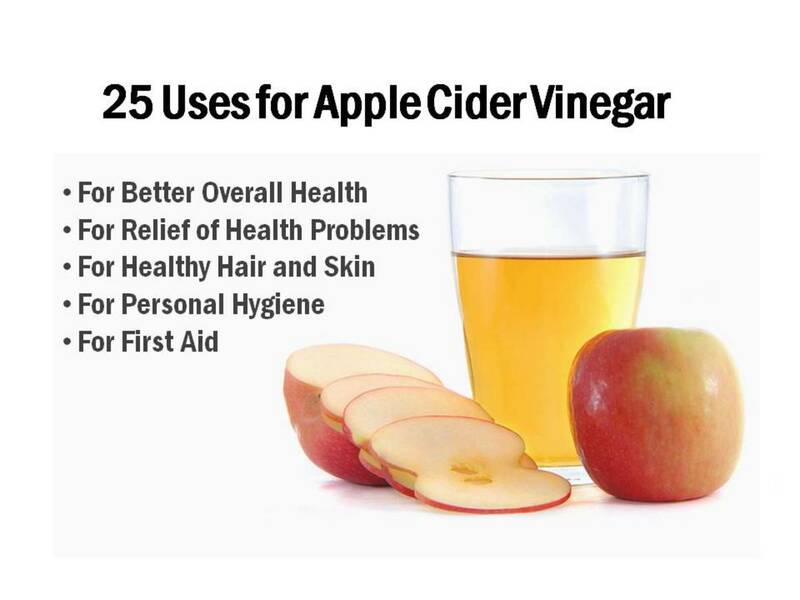 Noted below are 25 ways how apple cider vinegar can possibly benefit you. The "mother" of unfiltered apple cider vinegar is full of beneficial bacteria including probiotics. Probiotics help support the body's immune function. 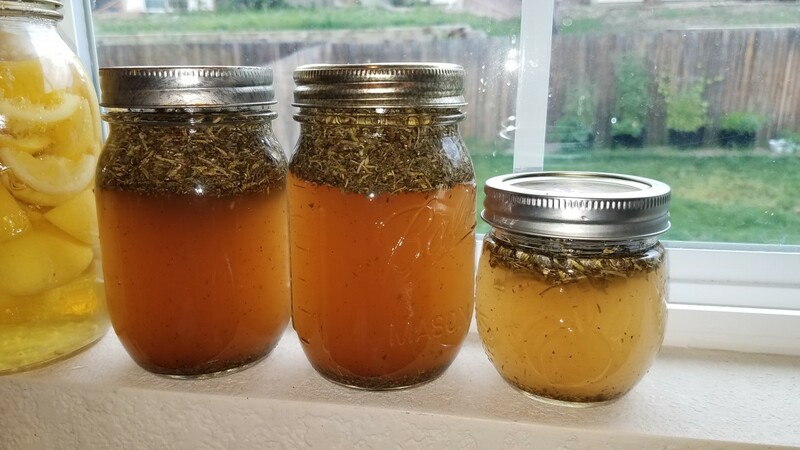 In addition, taking ACV can help break mucus and clear out the lymph nodes; promote cardiovascular circulation and liver detoxification, resulting to a stronger immune system. Many people claim to lose weight by taking some apple cider vinegar every day. How can this promote weight loss? Here are the facts I found out after reading some articles. For starters, apple cider vinegar retains pectin from soluble fiber of apples. Pectin possesses the ability to absorb water making the stomach feel full, which helps suppress appetite. Secondly, apple cider vinegar increases the body’s metabolic and fat burning rates. Acetic acid in ACV can boost the release of iron from food. Iron is required by oxygen-attracting myoglobin and oxygen-carrying hemoglobin to perform their job well, which consumes energy. Put simply, more released iron leads to more energy consumed. ACV also helps in the digestion of proteins, which is required for insulin production. Insulin plays a crucial role in the conversion of glucose to energy. That process increases metabolic activity, which eventually helps in weight loss. Taking ACV can help when you have diarrhea. It has substantial pectin levels that coat and soothen the irritated colon lining. Mix one glass of water with two tablespoons of ACV. Take a sip three times daily until you're completely relieved of the LBM. If you like, you can add one tablespoon of raw honey to improve the taste. To avoid gas or bloating, add a tablespoon of ACV to one cup of water and drink before meals. ACV can also prevent constipation as it stimulates the digestive juices to break down food. Add one tablespoon of ACV to tea or water and drink before meals. It can help with heartburn symptoms as well. There's a theory that heartburn is due to low stomach acid levels. So, take a dose for a quick fix of increasing your stomach acid levels. Although there's no scientific proof backing this claim, many who suffer from gout have tried it and said it works. Mix one tablespoon of ACV in one cup of water and drink three times each day with meals. Alternatively, you can soak the affected area for 15 minutes in a mixture of ACV and water. The mixture ratio is 1:3 ratio. Apple cider vinegar is rich in potassium and enzymes that discourage the growth of bacteria. Drink a glass of water with one tablespoon ACV twice a day to flush out the bacteria from your urinary tract. If you have a chronic sore throat, you can use ACV if you wish to avoid cough syrup overdose. Mix ACV with warm water to make a sore throat gargle rinse. It will soothe your sore throat and help kill the bacteria with its acidic property. Alternatively, you can prepare this ACV elixir. 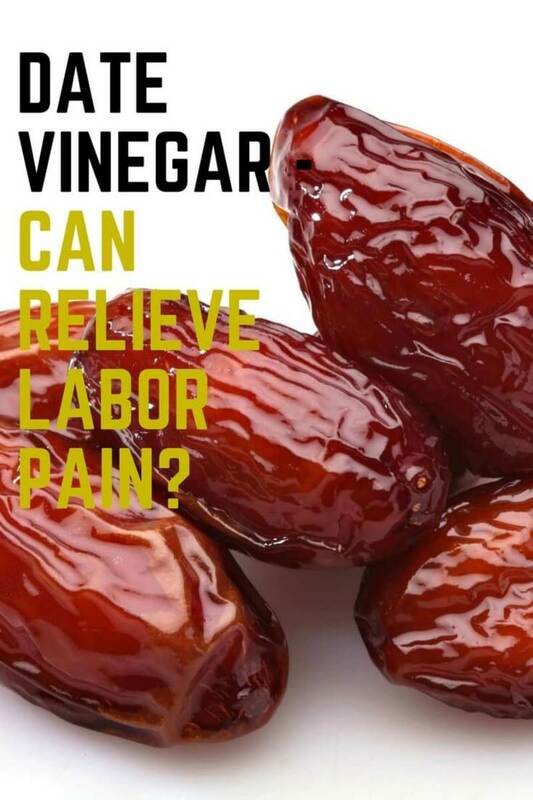 Apple cider vinegar and honey are both antibacterial, while capsaicin, which is present in hot peppers, can relieve the pain. 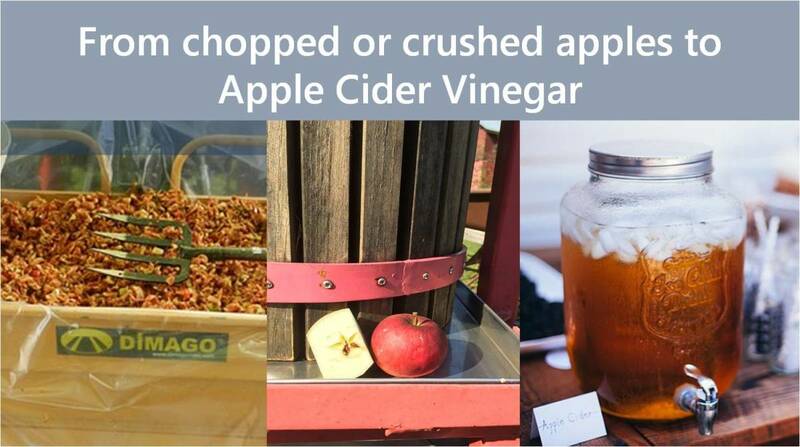 ACV can also break up mucus and sinus congestion. Just mix together 1 teaspoon apple cider vinegar, 1 teaspoon cayenne pepper, and 3 teaspoons clover honey in a glass of warm water. Rat studies showed that apple cider vinegar can reduce blood pressure, triglyceride and cholesterol levels. Unfortunately, these hoped for results have not been tested in humans. But you can find some people in this forum that says that apple cider vinegar really works in controlling blood pressure. Apple cider vinegar can help with regulating elevated blood glucose levels. According to Dr. Carol Johnston of Arizona State University, apple cider vinegar has an anti-glycemic effect. It can partly block starch digestion to prevent raising your blood sugar levels. If you would like to take apple cider vinegar and you are diabetic, ask your doctor first as it may increase acid in your system and cause problems for your kidneys and bones. Apple cider vinegar lowers blood sugar and increases insulin sensitivity. Drink a couple tablespoons before bed or add to meals. The lower blood sugar helps with type 2 diabetes. When you see signs of yeast infection, you can soak in a bathtub of water with 1/2 cups of apple cider vinegar. Do this for 10 minutes. Allergies are often accompanied by thickening mucous and sinus congestion. Since apple cider vinegar can help address these symptoms, taking this concoction helps the body to reduce allergic reactions. Apple cider vinegar is often used as a facial wash to clear acne breakouts. Just mix two tabelspoons of ACV with one cup of water. Use a cotton swab moist with the ACV mix and apply on the pimples several times daily. Moisten a cotton ball with apple cider vinegar and apply directly to the area with razor bumps. No need to dilute it the ACV. Look more youthful by washing your face with apple cider vinegar. It helps to reduce fine lines and wrinkles as well as age spots. The skin should be slightly acidic at pH level 5.5. If too alkaline, the skin tends to be dry and sensitive. 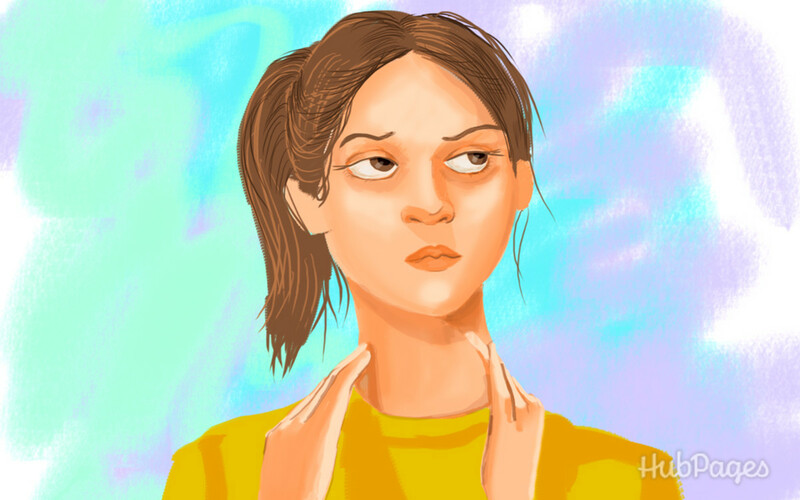 Use apple cider vinegar to tip your skin’s pH to the right level. Dilute ACV with water and moisten a cotton ball with the solution. Apply this ACV skin toner daily to your face to minimize pores. Apple cider vinegar is a natural sunburn remedy like aloe. Soak in a lukewarm or cool bath with a little ACV for at least 10 minutes. Wet a cotton ball with ACV and put it on the wart. Secure with a Band-Aid and leave overnight. When you have dandruff on your scalp, just rinse your hair with diluted apple cider vinegar. Add 1/3 cup ACV to 4 cups of water and use this mixture for rinsing your hair after shampooing. Rinse with cold water after leaving it on for a few seconds. Using ACV on the head can help eliminate head lice eggs or nits. Acetic acid won't kill the lice eggs but it can help to loosen the "glue" that seem to hold the lice eggs to hair strands. Thus, it is easier to get rid of them using a nit comb. Be sure to use 5% acid concentration only, since higher concentrations may hurt your scalp. Bad breath or halitosis can be remedied by the antiseptic property of apple cider vinegar. Gargle a mixture of two teaspoons ACV and one cup of water. ACV is effective for treating body odor. Changing the skin’s pH level helps to stop odor-causing germs. After bathing, wipe some pure ACV on the armpits. Don't worry about the vinegar smell, it will dissipate when dry. Soak your feet in a basin with lukewarm water and 1/3 cup of apple cider vinegar for 15 minutes once a week. Looking for a cheap solution for yellow teeth? There are two ways you can use apple cider vinegar for teeth whitening. Use it to rub directly on your teeth followed by rinsing with water. 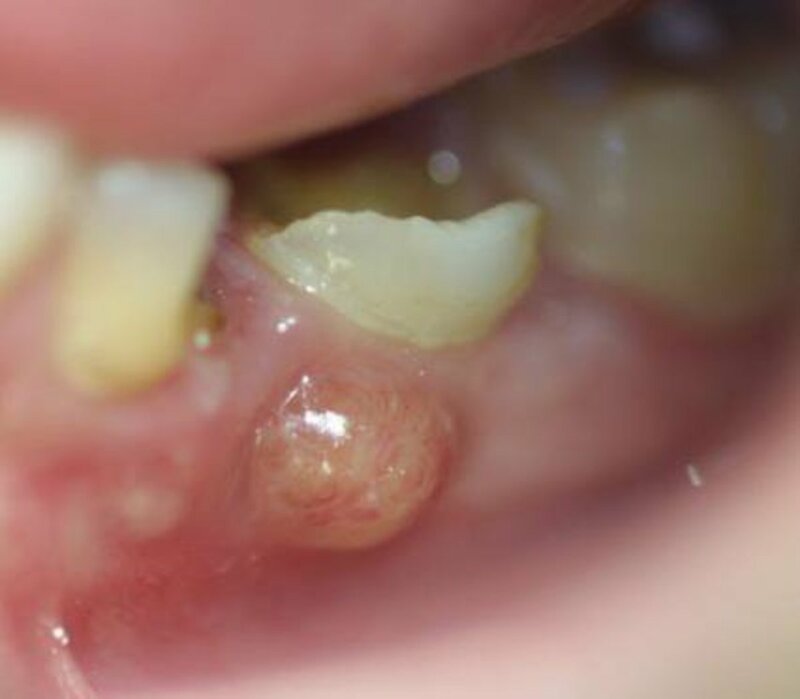 This should not be done often because it may destroy your tooth enamel. Another way to use apple cider vinegar is to make a mouthwash by mixing one teaspoon ACV and one cup of water. Swish around this DIY mouthwash in your mouth. Apple cider vinegar can be used as a topical treatment for muscle aches, abrasions and bug stings. Reduce skin itchiness due to bug bites. Wet a cotton ball with a little apple cider vinegar and apply it on the itchy area for 10 seconds to reduce itchiness. This may be applied to relieve the itch caused by poison ivy. Simple make a solution of equal proportions of apple cider vinegar and water. Put it in a spray bottle, and spray directly onto the itchy spot. You can cool the solution in the fridge to make it more soothing. If you are suffering from health conditions like bladder cancer or diabetes and taking medications, you need to consult your doctor before consuming apple cider vinegar. If you're a pregnant or breastfeeding mom, it is recommended not to take ACV for the time being. Apple cider vinegar is incredibly popular in the natural health community. Here are 6 proven ways that it can benefit your health. Can apple cider vinegar help you lose weight or lower blood sugar? WebMD explains. Some of the main weight loss theories describing how apple cider vinegar works to encourage weight reduction, along with the ways in which they work are outlined.